I have this on my X-Pro2 and it works a dream, a relatively light combo. I used to have the old 35mm on myÂ X-Pro1. It is a significant improvement. 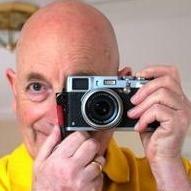 Buy an X100T or wait? Don't wait it's a great camera. Get one and get using it. Great service - great products - in Great Britain! I now use the Braided Polyester Cord & Leather Fixed Length Camera from Cordweaver, they are not only strong but also comfortable. I use red for my black bodies and black for silver bodies. http://www.cordweaver.co.uk/index.php They work well for me. My patience in waiting for the new X-Pro 2 finally snapped [forgive the pun] and I bought this beauty [not the Canon printer!] I bet the X-Pro 2 when it is released comes with a bag of chocolate biscuits! Must have a laugh occasionally!! Check out the Nissin i40. I use one on my X100T, X-T1 & X-Pro1, very satisfied with it, comparatively small and quite powerful for it's size. Either the X100T/S would be excellent for walking, good for weight excellent IQ. Whilst I have the XT-1 & X-Pro I would still take one of the X100 series for travelling. 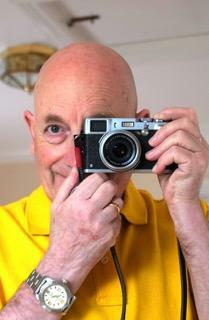 Amazing piece of reportage, X-pro's going from where Leica's left off?